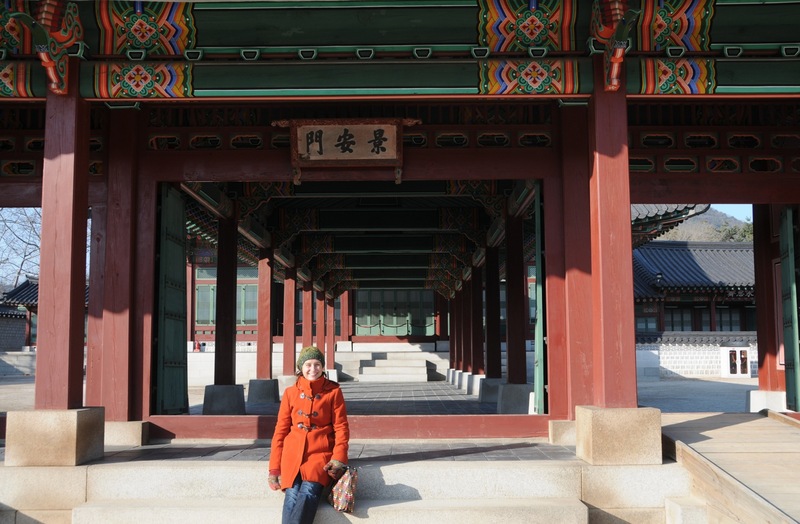 Gyeonbokgung Palace is the most famous of all palaces in Seoul. 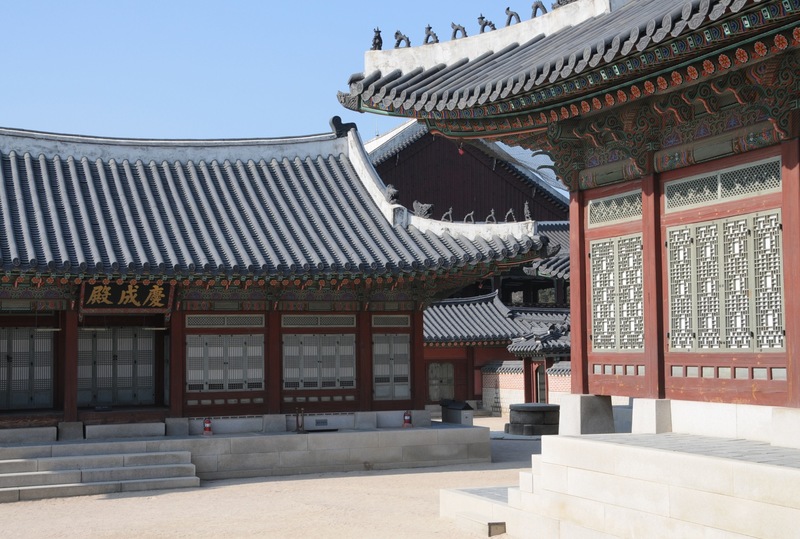 I’ve visited it last July and enjoyed it very much as you can gather from my previous blog posts (general info about the palace, Gwanghamun Gate, Geunjeongjeon Hall, Gangnyeongjeon and Gyotaejeon, Amisan and Hyangwonjeong and finally Geoncheonggung and Gyeonghoeru). 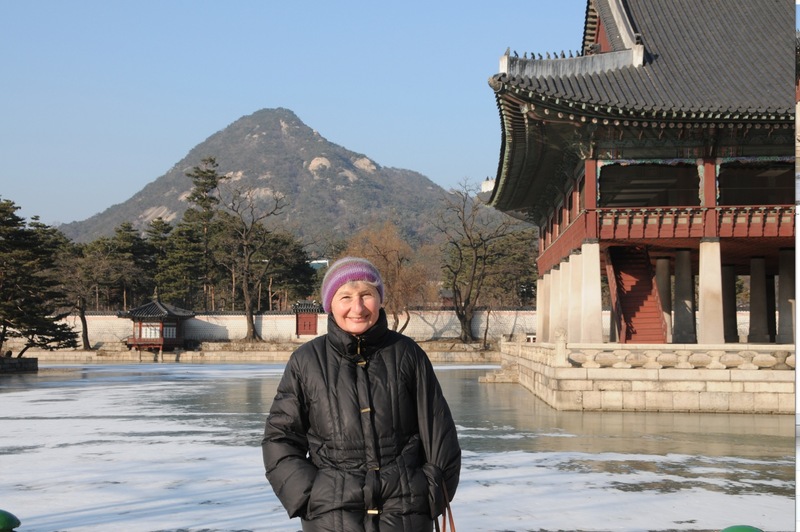 This time it was much colder, as a result with fewer people but an amazing blue sky. 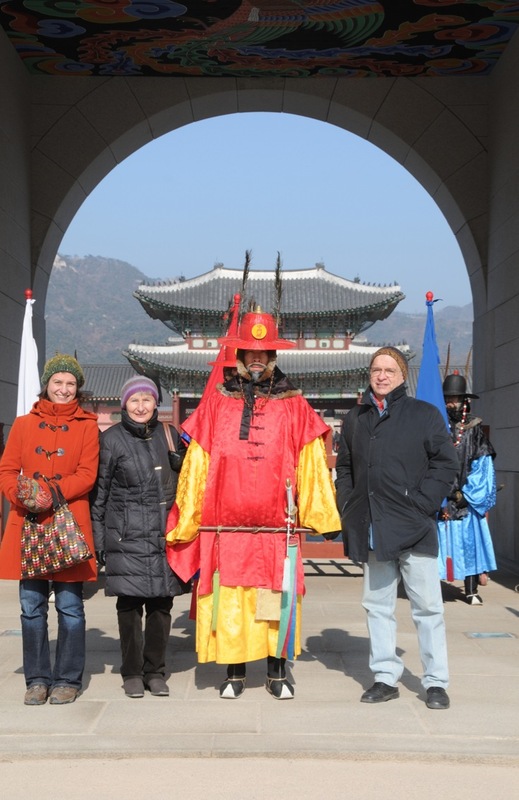 We started at the Gwanghamun Gate where we took some pictures with the palace guards in their colorful uniforms. I really hope that they were dressed in many layers, as it was so freezing cold on that day. I would not have lasted more than 10 minutes standing there without moving. 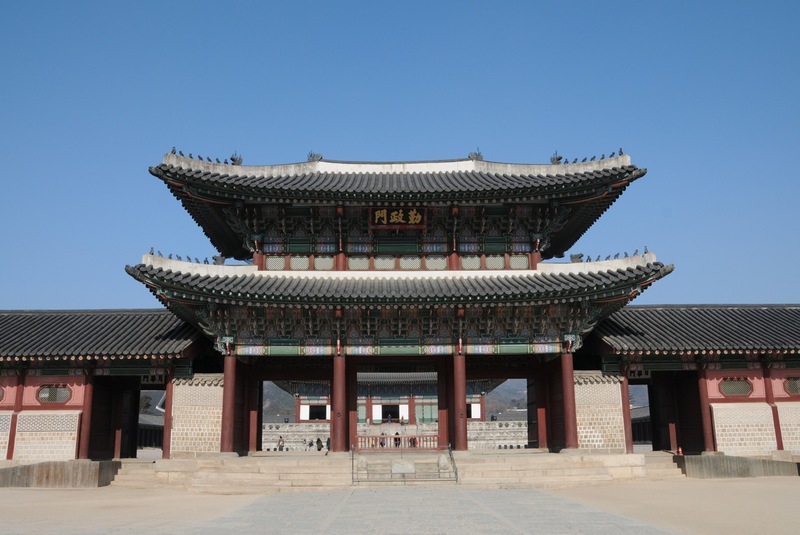 We continued to Geunjeongjeon Hall, which is the throne hall for the Joseon kings. 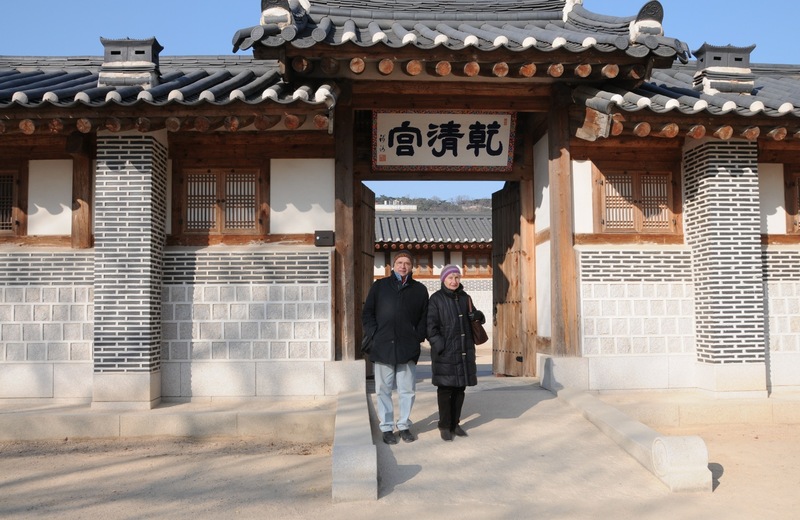 Then we went around the Gangnyeongjeon and Gyotaejeon, which are the living quarters of the king and queen. Hyangwonjeong is a small, two-story hexagonal pavilion built around 1873. 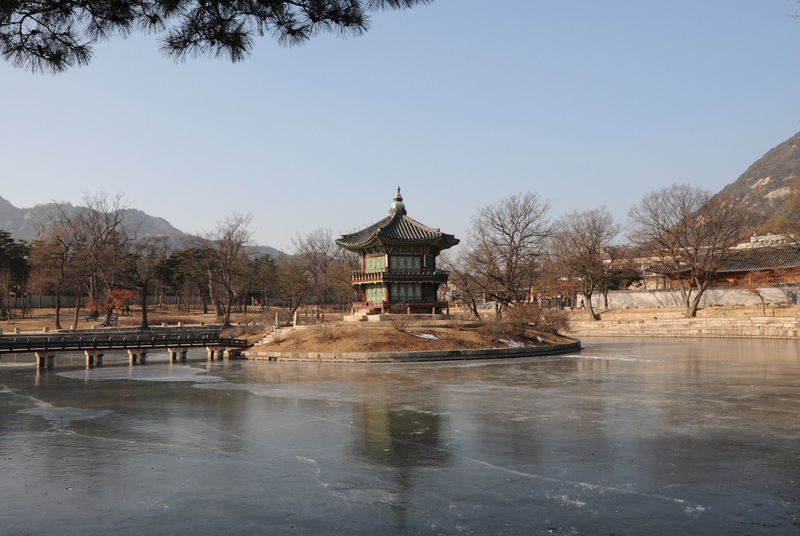 The pavilion was constructed on an artificial island of a lake named Hyangwonji and a bridge named Chwihyanggyo connects it to the palace grounds. 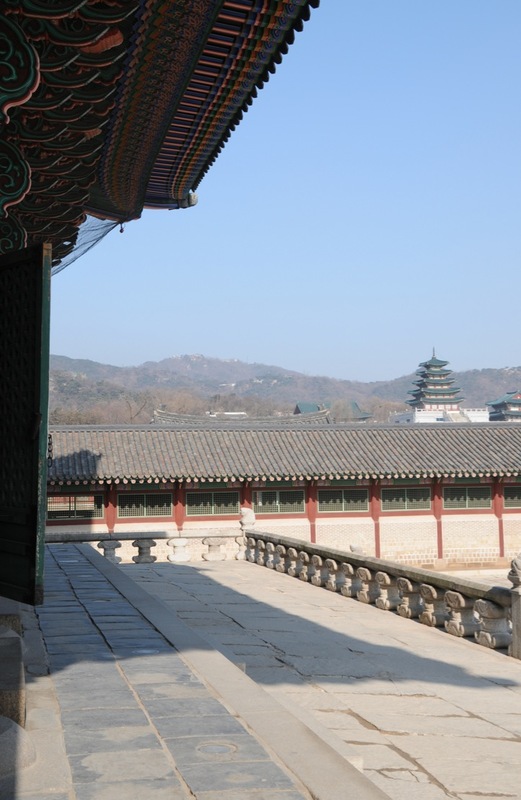 Next to it is Geoncheonggung, which was a private royal residence built by King Gojong. It is very different in style, looking a little more Japanese to me. We then went to the far Northwestern corner to view the royal shrine hall. Nicely decorated again! Our final stop was at the Gyeonghoeru, a hall used to hold important and special state banquets during the Joseon Dynasty. After that we had to move on and go into a cafe, just to warm up! On that day it must have been even colder than minus 10 degrees! Tickets stop going on sale one hour before closing. 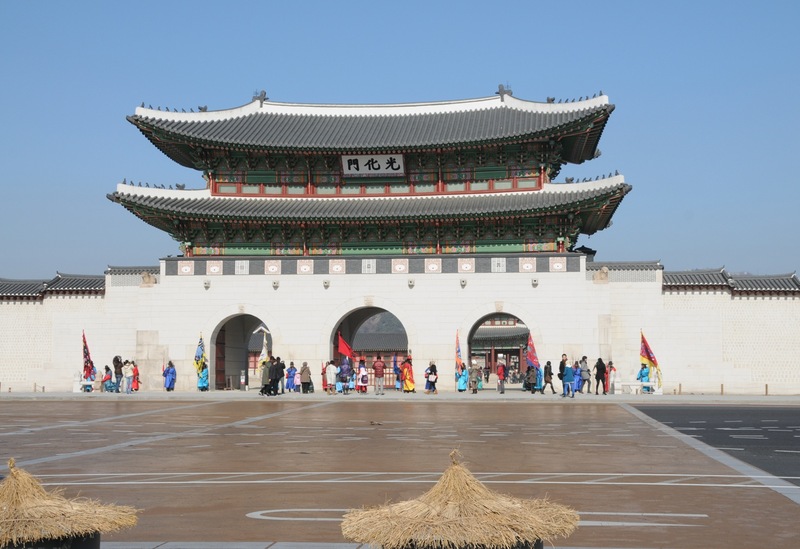 There are 3 lines located near the Palace. The easiest way to get there is to take Line 3 to Gyeongbokgung station and leave through exit 5.